Firstly. Shut down your Compaq Presario CQ61 / HP G61. Disconnect all external devices connected to the computer. Unplug the the AC adapter from the computer. Remove the battery. 1. 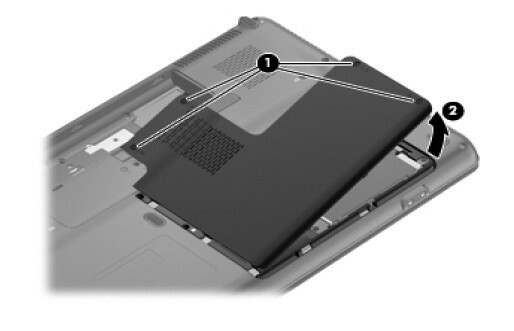 Turn the Compaq Presario CQ61 / HP G61 upside down, with the front toward you. Remove the hard drive cover. 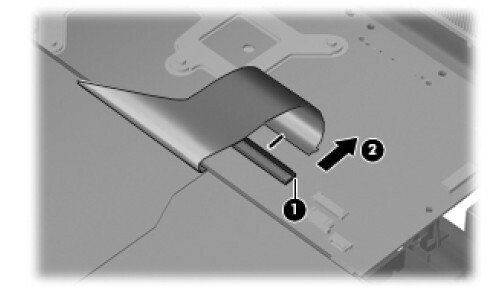 Loosen the 4 Phillips PM2.5×6.0 captive screws 1 that secure the hard drive cover to the computer. Lift the right side of the hard drive cover 2, swing it up and to the left, and remove the cover. 2. 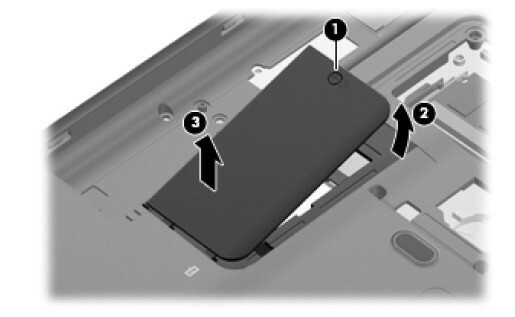 Remove the hard wireless module cover. Loosen the Phillips PM2.5×6.0 captive screw 1 that secures the wireless compartment cover to the computer. Lift the right side of the cover 2, swing it to the left, and lift up to remove it 3. 3. Remove the 5 Phillips PM2.5×7.0 screws that secure the keyboard to the Compaq Presario CQ61 / HP G61. 4. Open the Compaq Presario CQ61 / HP G61 as far as possible. 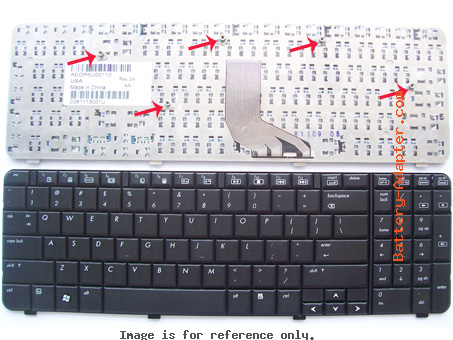 Release the tabs along the left 1 and right 2 edges of the Compaq Presario CQ61 / HP G61 keyboard using a thin flat-bladed screwdriver. 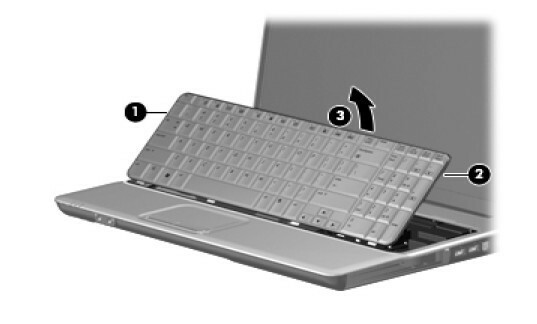 Lift the rear edge of the keyboard 3, and rotate it forward until it rests upside down on the TouchPad. 5. Release the zero insertion force (ZIF) connector 1 to which the keyboard cable is attached, and then disconnect the keyboard cable 2 from the system board. Now, you can remove the keyboard from the computer. 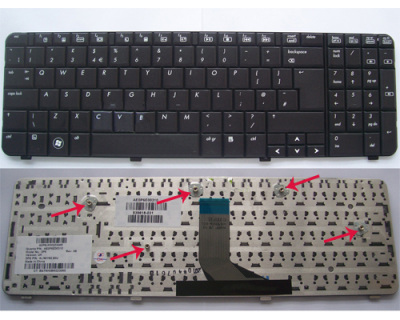 Reverse this procedure to install the new Compaq Presario CQ61 / HP G61 keyboard.